Music and Poetry Synchronized (MAPS) teaches 7th through 12th grade students from different geographic, socioeconomic, and cultural backgrounds to write poetry and music in preparation for a public concert at the end of the program term. Each MAPS class takes place through a partnership with two different schools in two different states. It runs throughout a full year, with one group of students in an urban-based school creating poetry from their life stories in the fall semester, and the other group of students in a rural-based school using these poems as lyrics for the songs they write during the spring semester. Students need to learn healthy ways to have civil discourse on controversial topics. MAPS brings together students from diverse backgrounds to unite, share and create with one another. Marrying poetry and music, the language, culture, and lived experiences of each student group is enhanced by the other. Through artistic expression, they forge bonds that are long-lasting, educational and deeply moving for all involved. Music is a universal language, simultaneously uniting disparate peoples and defining people through shared cultural norms, rituals and expression. Through music, people tap into their ancestral roots to celebrate life’s cycles, express emotion, create culture, and communicate with spirit. Concurrently, adding poetry to music serves as a language that bridges between people who otherwise would have a hard time communicating. People from diverse backgrounds can unite through music and poetry, sharing a common experience, though their realities might be dramatically different from one another. Reading what I wrote today, I was writing like a year or two ago, so it lets me know that things were bad, but I've grown from my writing!" By sharing our stories and creating a common artistic expression, music and poetry are healers — tearing down the walls that separate us and beginning to heal the historical narratives that divide us by race, class, gender and sexuality. Through the marriage of poetry and music, the language, culture, and lived experiences of each student group is enhanced by the other. Through artistic expression, they forge bonds that are long-lasting, educational and deeply moving for all involved. In our increasingly hectic and driven world, it’s challenging for youth to feel heard and to find ways to express themselves. 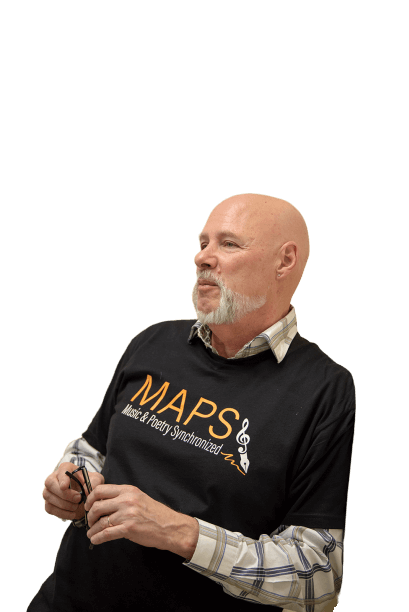 MAPS helps by giving them a voice through written poetry, music, and a shared experience. We hope to spark creativity and ignite a passion for human connection through art. When I think about how best to make the world a better place, I think about our students and opportunities for them. How can we bring them together to share their deepest feelings; joy, sadness, anger, love, fear, happiness, insecurity, loneliness, etc. without fear of retribution or judgement? 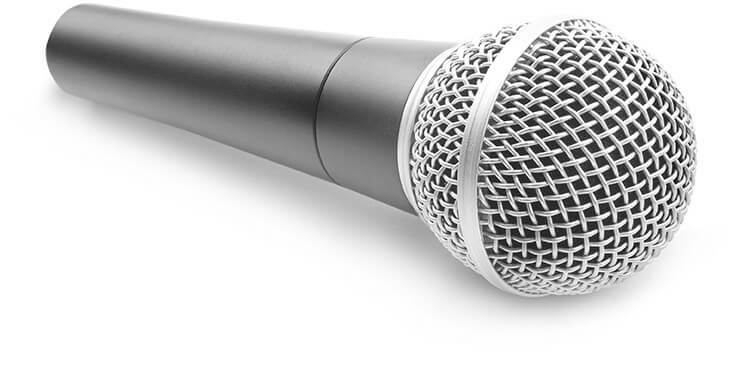 There are two art forms that allow for total freedom of expression: Poetry and Music! They allow our students to write about whatever they feel and share those feelings with each other and the world. When writing either poetry or music, a student can fly – fly wherever they want. There are no bounds to conform to other than of their own making. Putting the two art forms together through the MAPS program leads to a magical student convening of creativity, community and learning. “From MAPS I gained a variety of skills, which I can apply both within my future musical experiences and all future life experiences. A very key element given to me from the program was the life skill of sharing and building upon other ideas. MAPS introduced my own poetry to me in a different way. The performers carried my voice in their own way using my same exact tone. I'm glad they were able to interpret my emotions and put it in a song, only to make the waves of emotion stronger. There's just something about a melody and the right words to ignite so many different emotions, even if it's my own piece. "The music aspect of it is kind of like...pick some chords, throw them together on a keyboard or guitar...then start adding harmonies, and that's about it. It's like writing any other song–just with words that aren't your own." We humbly remind you that every bit of your generosity helps us maintain the ever-growing MAPS program, so we appreciate any amount you can give.